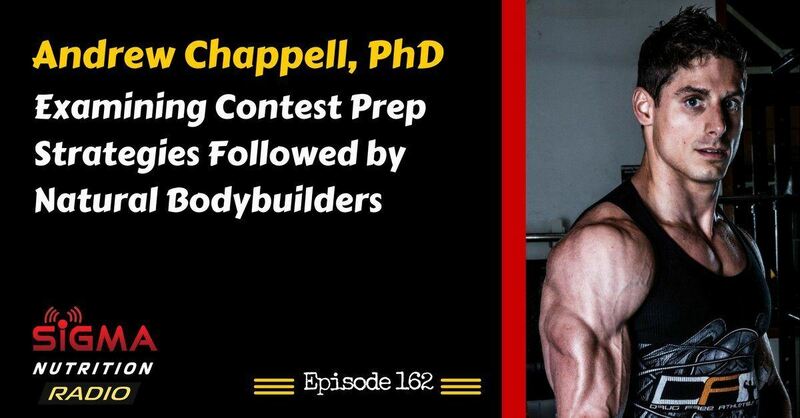 Episode 162: Andrew Chappell, PhD of Sheffield Hallam University is on the show to discuss preliminary data looking into different nutritional strategies followed by natural bodybuilders. Andrew is a Pro Natural Bodybuilder who has been training and competing for over 10 years. He competes with the Drug Free Athletes Coalition in professionally sanctioned contests and is previously a five time British Champion with the British Natural Bodybuilding Federation as well as a World amateur champion. 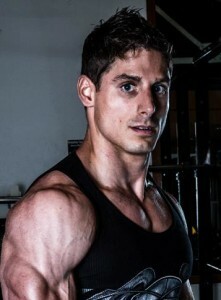 Andrew also has judged physique contests for over 7 years and has judged at British and World Finals. Andrew also regularly competes in Strongman and Powerlifting events. Andrew holds a PhD from the Rowett Institute of Nutrition and Health and is a Dr of Nutrition. He also holds a BSc (honors) degrees in Sport and Exercise Science and a MSc in Human Nutrition and Metabolism. He is a published author in field of muscle soreness and exercise, the influence of agronomy and environment on the nutritional composition of cereal crops,and the influence of dietary fibre on the human gut microbiota. He has been published in the Alan Aragon Research Review. Nutritional strategies followed by natural bodybuilders. Are there differences in competitors who place vs. those who don’t? Are champion bodybuilders following the latest “evidence-based recommendations” or more traditional appoaches to nutrition and training? The popularity of natural bodybuilding is increasing rapidly. Within the United Kingdom (UK) the British Natural Bodybuilding Federation (BNBF) runs seven regional qualifiers culminating in a UK finals. This cohort provides an excellent opportunity to study the dietary and training practices of an elite group of natural bodybuilders. In order to achieve the optimal physique for competition the athlete typically undertakes in a fat loss regime whilst attempting to maintain muscle mass normally accrued prior to the weight loss period. A combination of resistance training, cardiovascular exercise, calorie reduction, supplement regimes and peaking strategies are employed in order to obtain this physique. Although recommendations exist, these recommendations are not always based on bodybuilding populations and there is a paucity of applied research in this area. Here we report the results of a recent cross-sectional study investigating the preparation techniques of natural bodybuilding participant’s competing at the BNBF finals. There was a tendency for successful bodybuilders to have a different macronutrient composition than unsuccessful bodybuilders. Specifically carbohydrate intake was higher over the duration of a pre-contest diet in successful bodybuilders. Implications for this will be discussed.